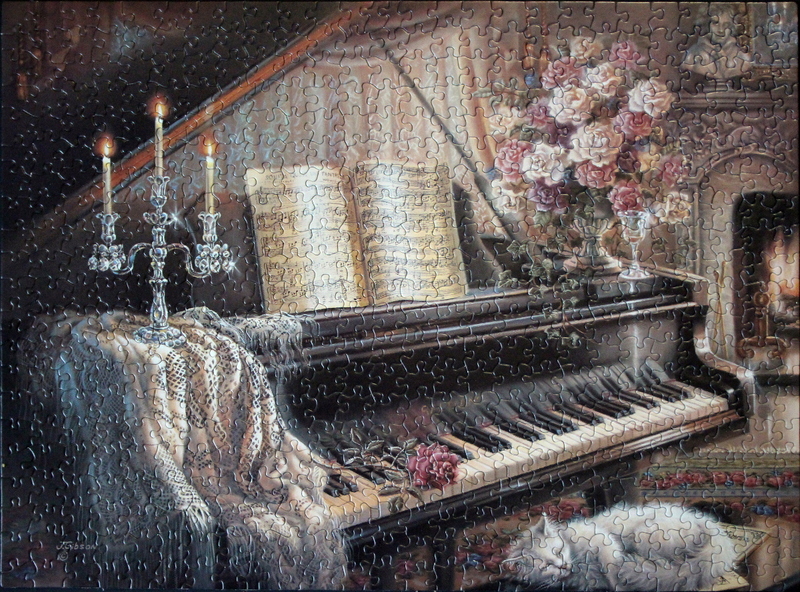 Puzzle: Good regions to start are the white cat, the music sheets, the flower bouquet with the ivy, and the shawl, and the candle holder. The orange separator of the piano lid isolates the top left corner. Flames for the candles and the fireplace are easy to locate, as well as the bust and the wine glass. The keys of the piano, the rug near the fireplace, and the curtain can follow, and the rest of the pieces are trivial to place. Easy and pleasant puzzle to do.